Traditional stop loss participation requirements will prevent many employers from pursuing an affordable self-funded solution for ACA-compliance. For example, one provider is charging 12% of billed charges. However, there is a 25% commissions and overrides payable to TPA’s, consultants and brokers. The net is 9% of billed. This same provider charges an additional 20% as a premium for their captive (retirement plan?) which provides minimal coverage up to $75,000 only. Taking away the premium load leaves a net cost to be charged to a plan sponsor of 6.6% of billed. Another provider charges 15% of allowed for the same services. However, after taking out commissions, overrides and premium loads, the net is 8.25% of allowed. Our best estimation of true market value in today’s market is 6% of billed or 8% of allowed. On a PEPM basis we see a range of $8 to $12. What are you paying these days? Editor’s Note: It is unfortunate that plan sponsors pay fees to third party intermediaries that could otherwise go to health care givers – Cost Plus Insurance To Make Offer To Hospitals? Are You Audit-Proof Yet, Doc? Are Your HIPAA Ducks In A Row? Current medical payment and reimbursement structures involve the submission and payment of medical CPT® coded claims. So, some doctors feel they need to “up-code” to maximize revenue; or “down-code” for fear of having a claim denied………Obviously, contradictory business goals bastardize the system into a payer versus provider tug-of-war, with patient care as a potential bargaining chip. We are pleased to announce that UnitedHealthcare and Tenet Healthcare have reached agreement on a three-year contract renewal. Therefore, Tenet Healthcare will remain a participating provider with the UnitedHealthcare, Neighborhood Health Partnership and Oxford networks for all commercial fully insured and self-funded products. Members can continue to use Tenet Healthcare facilities on an in-network basis. Our responsibility and commitment to our members and employers is to balance affordability and access. As such, we will continue to advocate on their behalf in future hospital negotiations to ensure that we deliver access to affordable health care services. Editor’s Note: We will never know what sort of agreement these two made. Neither Tenet nor UnitedHealthcare will publish their reimbursement schedule. Would it violate a plan fiduciary’s duties to be a third party beneficiary of a contract which can’t be seen? Surgery Center NetworkTM has deep, broad and historic relationships with hundreds of outpatient surgery centers across the country. Those relationships are usually with the top executives of the ASC management companies as well as the business office managers and administrators directly at the centers. These relationships give us unparalleled access to decision-makers who can agree to a significant reduction of an out-of-network claim, more so than the billing and collections staff can usually agree to. Contact Surgery Center Network with your out-of-network claims and let us negotiate a fair reimbursement for each claim. Surgery Center Network can also fund the payment, if necessary, to help expedite the processing and to maximize the savings. Send Surgery Center Network your important and larger out-of-network claims. Claims should be unpaid, with a majority of the claim’s liability remaining with the plan sponsor. Be sure that you are able to tell Surgery Center Network how quickly you are able to pay the claim once an agreement is reached. The sooner you can pay it, the better the savings can be on the claim. Surgery Center Network needs to know the patient name, date of service, procedures and the appropriate codes, billed charges, plan liability and member liability, facility name and contact information, any payments that may have already been made, and any other relevant information that we might need. Email the information to Info@SurgeryCenterNetwork.com, and also tell us if the claim is above stop-loss thresholds or not. We can usually have a response and proposal within 24 hours, and then we will secure the signed agreement from the provider. DALLAS — The cost-plus basis under which most public and private health insurance plans are set up is forcing business to discard conventional health insurance plans and adopt self-insured programs at a considerable saving, recent research indicates. A study by the National Center for Policy Analysis, a privately funded research group in Dallas, concluded: “An insurance system designed to make sure that hospitals cover their costs is inherently adverse to the interests of those who are insured. Editor’s Note: If the cost plus insurance scheme gains too much market share, will costs go up? Hospitals will have no incentive to reduce costs. The higher their costs the more they make under a Cost Plus Insurance plan. This 1985 article warns readers about the fallacy of cost plus driven pricing that still holds true 29 years later. Solvadi costs $84,000 for a 12 week treatment course. Sovaldi has prompted fears among insurers and state officials that the breakthrough drug, despite its benefits, could explode their budgets. And that has sparked an urgent and highly sensitive debate in Medicaid offices across the country: How far should society go to make sure the poor get the best available treatments? Carenet Healthcare is looking to expand their business in San Antonio. In 1988, Carenet launched as a patient care advocacy and navigation operation within the Christus Santa Rosa Hospital System. Now, the health care services company has a client roster representing more than 20 million members worldwide. Specifications will be available for download from our website at http://mws.mcallenisd.net/purchasing/BidNotices.htm by following the Invitations to Bid link . Vendors are responsible for viewing the webpage regularly, or prior to submitting a bid/proposal response, to ensure that no addenda or additional information have been issued for the solicitation. Properly sealed and marked submittals shall be received NO LATER THAN the date and time stated above at McAllen ISD Purchasing Services, 4309 Warrior Drive, Bldg. C, McAllen, Texas, 78501-7734. For additional information, contact: Julie Hernandez, at (956) 971-4466. A loophole in Obamacare regulations has health plans worried that people who bought coverage on the federal marketplace could skip their December payment and insurers would have few tools available to recoup that missed premium. Mountain View, CA and Kansas City, MO – July 23, 2014 – GetInsured, a leading health insurance exchange platform, announced today it has partnered with Lockton, the world’s largest privately held independent insurance broker, to offer employers customized health insurance solutions for employees who do not qualify for sponsored plans. MADISON, Wis., July 23, 2014 – To build credit union members’ financial security, CUNA Mutual Group is launching the TruStage® Health Insurance Program by joining forces with GoHealth, an industry-leader and private health insurance marketplace. AUSTIN, Texas, July 23, 2014 — Fringe Benefit Group, an industry leader in the design, implementation and administration of benefits for hourly and part-time workers, today announced it has acquired The American Worker Plans, an Illinois-based Managing General Agent specializing in limited medical, voluntary and self-funded benefit options for employers with hourly and part-time workforces, from American Westbrook Insurance Services, LLC., a subsidiary of Hendricks Holding Company, Inc. Terms of the transaction, which includes all assets and trademark rights to The American Worker Plans, were not disclosed. Hospitals To Pay Insurance Premiums For Patients? Uncompensated care was supposed to be a thing of the past, but it’s persisting in many states not expanding Medicaid eligibility. As an alternative, for some high-cost uninsured patients, hospitals are turning to a new option. Ruben Edelstein practiced managed care in his own way. The son of immigrants, he ran a successful furniture business in South Texas. An astute businessman, he grew the business with locations throughout the Lower Rio Grande Valley in deep South Texas. I was fortunate to know him. Mr. Edelstein ran a lean operation and took care of his valued employees. He knew each one by name. And he provided health insurance although he didn’t have to in those days. I was his broker for many years and learned more from him than he did from me. I took the bill down to the MRI center and asked to speak to the business manager. “Hi, I represent Mr. Edelstein, owner of Edelsteins Better Furniture with over 300 employees, and we would like to contract with you for MRI services” I said. “Certainly, we can provide MRI’s for $750” replied the business manager. “Good, let’s start with this one” I said and handed him the invoice. On another occasion, Mr. Edelstein called me and said “Bill, we have a first year employee whose coverage is limited to $10,000 under our plan. She just found out she needs an emergency hysterectomy and was told the bill would be around $28,000. Can you help?” I met with a local hospital administrator that afternoon and told her “I have $10,000, will write you a check right now if you can arrange a global fee of $10,000 for this valued employee of Edelsteins Better Furniture.” The result of Mr. Edelstein’s managed care protocol: patient was treated for $10,000. Mr. Ruben Edelstein passed away this week at age 96. Two U.S. appeals courts issued contradictory rulings on Obamacare subsidies Tuesday. One upheld them in a victory for the White House. The other dealt a blow to the president’s health law by striking them down for millions of Americans covered through HealthCare.gov. A federal appeals court has ruled today that the federal government may not subsidize health insurance plans for people in 36 states that decided not to set up their own marketplaces under the law. If this ruling stands, ObamaCare is history. The Brokerage Inc. has opened a new office in San Antonio that will specialize in selling annuities, health insurance, life insurance and long-term care insurance. The Lewisville, Texas-based company also hired Claudia Rodriguez-Diaz to lead the office, which is located in Cadillac Lofts in downtown San Antonio. The Brokerage Inc. also help independent brokers with marketing efforts and supplies agents with Medicare leads, Medicare certifications, contracts, free E&O coverage. The company has trained numerous agents nationwide for the rollout of the Affordable Care Act. Many, but by no means all, carriers subscribe to the conventional wisdom that having a stop loss policy form clause requiring that all disputes between the insured group and the carrier be arbitrated and therefore not litigated in the courts is a distinct and near-universal advantage for the carrier. SAN ANTONIO — A San Antonio medical concierge service has launched a membership program that will allow patients unlimited medical consultations, urgent care services and other benefits. The Members MD service offered by Antonian Health is being promoted as an alternative to health insurance. Patients who enroll will receive urgent care services such as X-rays, lab work and minor medical procedures; the attention of a 24-hour on-call service; translation services; transportation to all medical appointments on request and access to Antonian Health’s network of physicians and specialists. Discounts to some hotels, fitness clubs and specialty grocery stores are included. Antonian Health has a network of partners that includes Impact Urgent Care, the University of Texas Health Science Center at San Antonio’s Medical Arts and Research Center, St. Luke’s Baptist Hospital, Methodist Healthcare System and other providers. Antonian Health is a luxury medical concierge that personalizes and coordinates doctor’s office visits, hospitalizations, lab tests and other medical procedures. Who’s Afraid Of The Big Bad Wolf of Balance Billing? MRI’s is a fairly common procedure these days. Prices can range into the thousands of dollars to as low as $395 or even less these days. In San Antonio one MRI centers offers self-funded plan sponsors a global fee of $395 for any type of MRI. This fee includes with or without contrast, and the reading. Another MRI center in the Lower Rio Grande Valley offers the same pricing. New York Life’s San Antonio office is in a hiring mode. The company is looking to hire 24 agents this year to help more local families with their long-term financial planning. Shrewd move by United HealthCare? The U.S. Supreme Court ruling that “closely held” for-profit companies can — on religious grounds — opt out of a federal requirement to provide certain contraception coverage is rife with implications for self-insured and other employer-sponsored health plans. Lubbock, TX/San Antonio, TX — The Caprock Health Group is pleased to announce the addition of Robert Spurlock as Chief Information Officer. Mr. Spurlock’s hiring continues the Caprock Health Group’s ongoing strategy to attract the most-talented and experienced professionals. In this role Mr. Spurlock will be responsible for all aspects of IT, software, network & communications as well as technology process, development, and infrastructure for all of the Lubbock and San Antonio based Caprock companies. Capitol Administrators, Inc., is pleased to announce the launch of MedNet, its hybrid reference-based pricing (RBP) Health Plan. MedNet’s focus is to bend the cost curve downward by giving plan sponsors and consumers the ability to understand the true price and cost of health care services. The Region One ESC Board of Directors, at their regular meeting on June 17, 2014, met to discuss and evaluate the proposals received and ranking of firms for the Third Party Administrator Services. Proposals received were evaluated by the Region One ESC Insurance Committee comprised of employees from the Region One Education Service Center and William Rusteberg, Region One’s independent insurance consultant. The Board of Directors reviewed the proposals and ratified the committee’s rankings. The proposal from Verity Enterprise Solutions, San Antonio, Texas was accepted by the Board of Directors for the contract period. The Region One Education Service Center is part of a state-wide system of 20 regional education service centers created by the 59th Texas Legislature to assist school districts across the state. Originally slated to work with school districts as a media center, the role of the education service center has expanded to work alongside school districts to carry out the three main objectives as stipulated in the TEC §8.002: to assist school districts in improving student performance in each region of the system; enable school districts to operate more efficiently and economically; and implement initiatives assigned by the legislature of commissioner.Located in South Texas on the United States/Mexico border, Region One ESC serves 37 school districts and 10 charter school systems in the seven county areas of Cameron County, Hidalgo County, Jim Hogg County, Starr County, Webb County, Willacy County, and Zapata County. 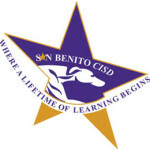 At a special Tuesday, July 8 meeting of the San Benito Consolidated Independent School District, the Board of Trustees approved three action items that may mean possible termination of three of the district’s medical and pharmaceutical providers. SBCISD Board President Arnold Padilla said, “The Trustees felt we needed to open up an opportunity to third party medical (service providers) –- pharmaceutical, diabetic pharmaceutical and health plan. In doing so, we have currently advertised and put on the web a solicitation for third party administrators (to apply with the district). Taking advantage of the recent surge in child immigrants from Central America can provide immediate health care coverage for those Americans who missed the Open Enrollment period. Need health insurance now due to a newly discovered pre-existing condition? Contact the Border Patrol for details. Will Harlandale ISD Follow Edgewood ISD And Adopt Cost Plus Insurance? Harlandale Independent School District in San Antonio, Texas is currently seeking a qualified insurance consultant to assist the district in evaluating their group medical insurance program. Cost Plus Insurance will be a consideration this year. Edgewood ISD, another San Antonio based school district converted their fully-insured Blue Cross health plan to Cost Plus Insurance six months ago. Cost Plus Insurance has become a competitive product with numerous TPA’s in the market. Fees to administer the program can vary significantly depending upon the source. Two school districts in South Texas who implemented their Cost Plus Insurance program three years ago recently reduced their administration fees by 50% by changing to another TPA and audit company through a competitive bid process. Will Edgewood ISD do the same this year? At $187 a month, Allen’s policy is cheaper than almost any other midlevel, or silver, plan in the nation. Just a few miles across the Georgia border in Catoosa County, a similar plan would cost someone Allen’s age $348—86 percent more. “These new rates are really, really good,” said Russ Blakely, a Chattanooga insurance broker. Chattanooga’s success in achieving bargain-priced policies offers valuable lessons for other parts of the country as they seek to satisfy consumers with insurance networks that limit their choices of doctors and hospitals. Nationwide, about 70 percent of the lowest-priced plans included narrow networks, according to the consultants McKinsey & Company. In its long-awaited Hobby Lobby decision (Burwell v. Hobby Lobby Stores, Inc.), issued on June 30, 2014, the Supreme Court held 5–4 that the Department of Health and Human Services’ (HHS) preventive care mandates regarding contraceptive coverage issued under the Affordable Care Act (ACA) violate the Religious Freedom Restoration Act (RFRA) when applied to closely held, for-profit corporations that hold sincere religious beliefs against such coverage. This decision has generated headline news and considerable commentary, including whether it will have broader implications. This advisory focuses on the practical implications of the decision for group health plans, employers, insurers and third-party administrators (TPAs). The Affordable Care Act (ACA) mandates plan sponsors to offer minimal essential benefits to include hospital care, physician services and prescription drugs. Failure to comply can trigger government sanctions. The Medicare program mandates only hospital care. Physician care benefits and prescription care benefits are optional. Failure to purchase the optional benefits do not trigger any punishment at all.